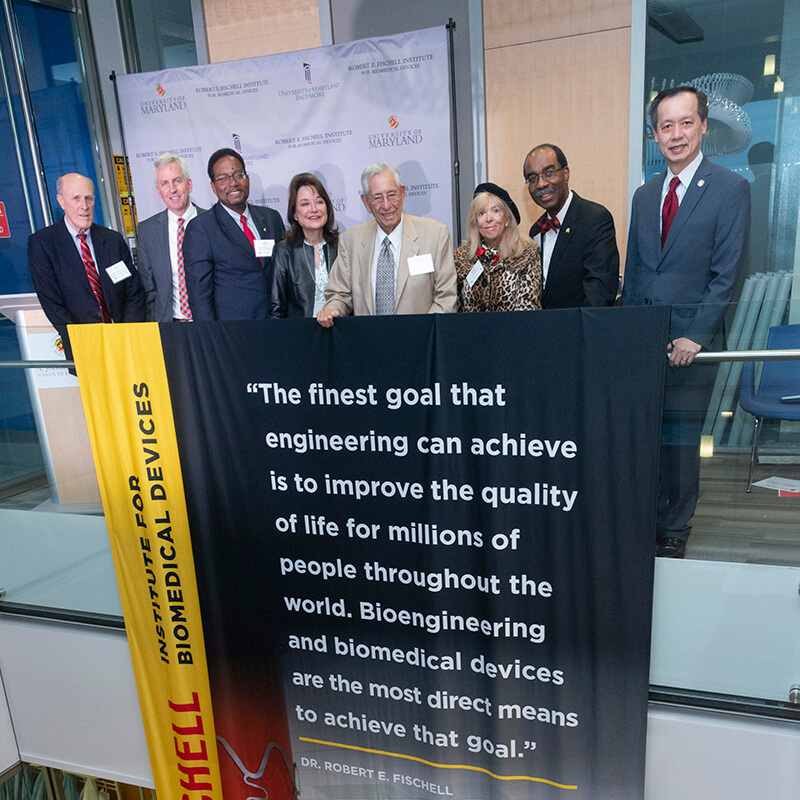 The Fischell Department of Bioengineering at the University of Maryland is the home of an emerging academic discipline, exciting interdisciplinary degree programs, and faculty and students who want to make a difference in human health care through education, research, and invention. Learn more about A. James Clark Hall, the six-story home of the Fischell Department of Bioengineering. Bioengineering at Maryland is about innovation. Health care is changing rapidly, moving toward more technological approaches to diagnosis (such as body scanners and biosensors), treatment (including targeted therapy, minimally invasive surgery, and implantable devices), personalized and regenerative medicine, and the extensive use of information technology. Biomedical engineering is steadily becoming the world’s largest industrial sector, and as a result, there is an increasing demand both for doctors who are technically competent and for engineers who are properly trained in basic medical science. Fischell Family Distinguished Professor John P. Fisher has served as BIOE's department chair since 2016. As the director of the department's TIssue Engineering and Biomaterials Laboratory, Fisher and his group investigate biomaterials, stem cells, bioprinting, and bioreactors for the regeneration of lost tissues, particularly bone, caritlage, and cardiovascular tissues. 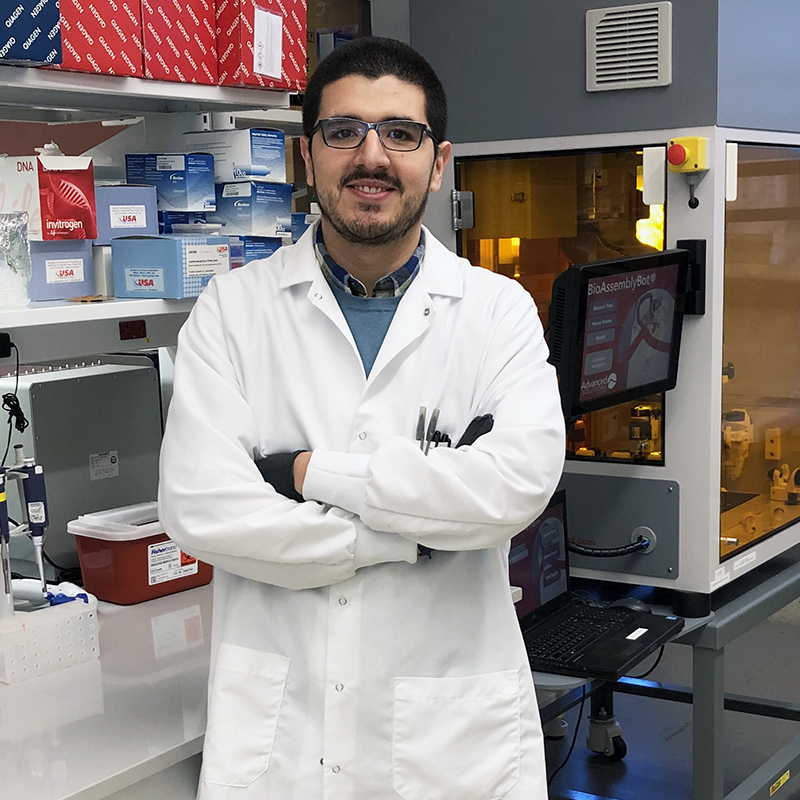 Dr. Fisher also directs the newly established NIBIB/NIH Center for Engineering Complex Tissues (CECT), which aims to create a broad community focusing on 3D printing and bioprinting for regenerative medicine applications. Fisher was elected Fellow of both the American Institute for Medical and Biological Engineering (2012) and the Biomedical Engineering Society (2016). He received the National Science Foundation (NSF) CAREER Award (2005), as well as the Arthritis Foundation’s Investigator Award (2006), Rice University's Department of Bioengineering Outstanding Graduate Alumnus Award (2007), the Arthritis Foundation's Engalitcheff Award (2008), Tsing Hua University's Next Power Professorship (2015), and a Fulbright Fellowship to study at the National University of Ireland, Galway (2015). In 2014, Fisher was named the Chair of the Tissue Engineering and Regenerative Medicine International Society– Americas (TERMIS-AM) Chapter Annual Meeting in Washington, D.C. and in 2018, he started his term as Chair of the society after serving three years as Chair-Elect. In 2018, Fisher co-chaired the Biomedical Engineering Society (BMES) Annual Meeting in Atlanta, Ga., celebrating the 50th Anniversary of BMES. Fisher earned a B.S. in biomedical and chemical engineering from The Johns Hopkins University, an M.S. in chemical engineering from the University of Cincinnati, and a Ph.D. in bioengineering from Rice University. He completed a postdoctoral fellowship in cartilage biology and engineering at the University of California, Davis.